Bounce on down to MPavilion for a site-specific version of New York-via-Melbourne creatives Tin&Ed’s Inflatable Futures, originally commissioned by QIC|GRE for Eastland. 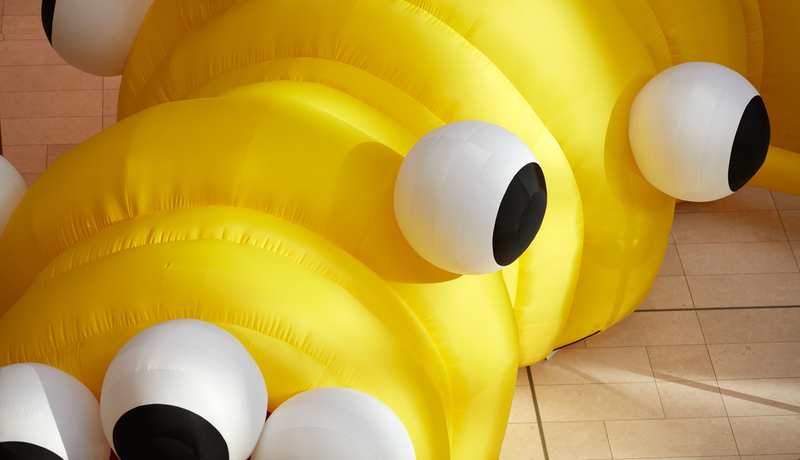 These inflatable sculpture works combine the joy of bouncy castles with aesthetically beguiling sculptural form, encouraging kids to leap into the unknown and use play as a way to engage with ideas of space, technology and the future. With a special line-up of activities scheduled to accompany this joyous installation, this is sure to be heaps of creative fun for kids—young and old—in the height of summer. No hollow promises. Enough hot air from us—you and the kids don’t want to miss this. Come to MPavilion with the little ones in tow! Read our interview with Tin&Ed. Tin&Ed: Inflatable Futures is presented by MPavilion major partner QIC|GRE.